I am sure you've probably heard about the possible Canada Post Mail strike. At this point, there has been no deal/resolution in place between Canada Post and the union representing its employees, and the July 2 deadline is just around the corner, mail delivery appears on the verge of grinding to a hault! Canada Post is stating that June 29 is the last possible day to mail an item without it becoming delayed in possible lookout, although you may have to pay for a premium delivery option to get that package to its destination on time. If you're concerned about a fast delivery, Canada Post says it's already too late to send an expedited parcel through the mail to a destination in your general region, or to send an Xpresspost letter nationally or regionally. However, you can still send a parcel anywhere in the country, if you can get it to the post office by the end of the day June 29) and send it as a priority package. Wednesday is also the last possible day to send an expedited parcel or Xpresspost letter to a local destination. Canada Post says it's already advised businesses to make contingency plans in the event of a work stoppage. 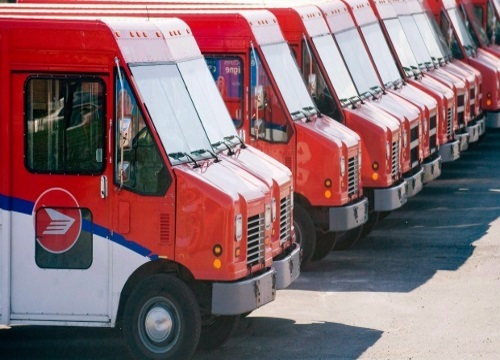 You may have received emails from your bank or hydro company informing you of this Canada Post strike and to make alternative methods of paying your bills. Update July 5 - After months of tense negotiations, Canada Post has issued a 72-hour lockout notice to the Canadian Union of Postal Workers (CUPW), which could result in a work stoppage by Friday. Update July 7 - Canada Post extended its lockout notice to Monday, at 12:01pm ET and says it is willing to submit to binding arbitration in an effort to resolve the ongoing labour dispute. Update July 8 - Canada Post agrees to truce for more bargaining with proposed 30-day negotiating period between Canada Post and its largest union. Will you be affected by this strike? Let us know on our Facebook Page. Click here for more info from Canada Post.